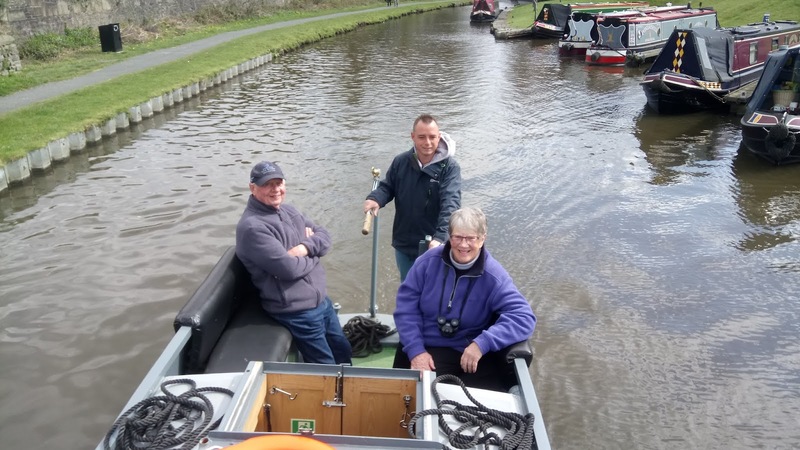 We'll arrive back in Marple this morning (once said breakfast has been eaten and washing up has been done) to say goodbye to our first guests of this year... we couldn't have had easier or amusing folk to kick us off with .. .they really have been a blast. We've very lucky - you see, the thing about folk who've opted to come along with us is that most of the time, they've already "got" us and what we're about... what that means is that we can enjoy THEM - without having to be on our best behavior or disingenuously gracious ... I get the odd (as in occasional) look from Andy (well sometimes they're "odd" looks too I suppose) to suggest I need to modify my natural fabulous demeanor behave, but MOST of the time, we develop a mutual friendship, understanding and respect. THIS trip, whilst only short, has been a lovely re-introduction to sharing our lives with folk... kind of dipping our foot back into the pool and it's worked perfectly. Of course, THEY may be thinking otherwise but we'll never know and that's the beauty of lol. ANYWAY - today is our first goodbye of many... we hope it will be more of a Bon-Voyage. So then Mags & Phil, safe travels and 'hope to see you agin. Billinge Green Flash - Moving along slightly today, we stopped at Billinge Green Flash where we finally got to do some work painting the roof, wasn't much but it was a start. On Route to Leek up the Caldon and New Wellies?